In some people may reduce gum bleeding. may slow the progression of gum disease. 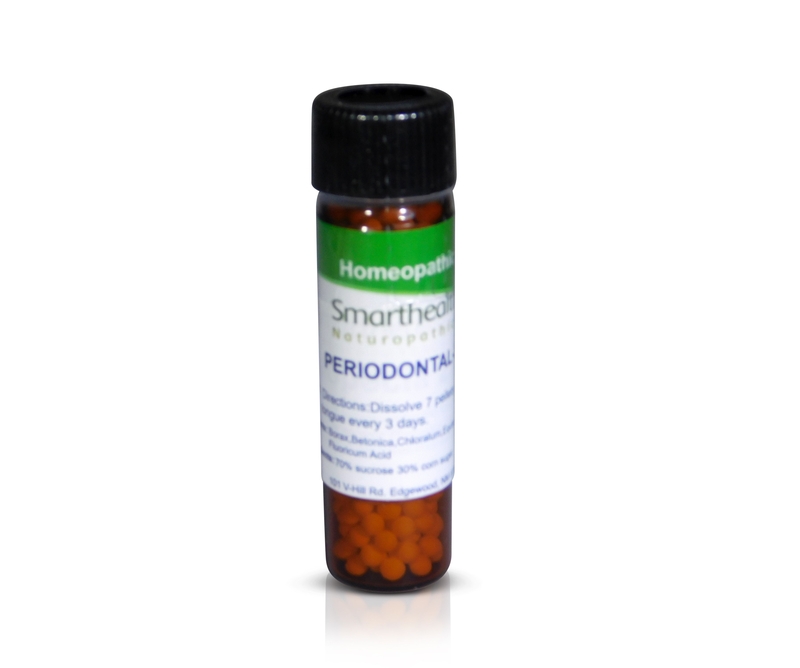 This product may help in sort and long term gum disease,gingivitis,periodontal disease. May slow the progression of gum disease.This product helps kill the bacteria that causes gum disease,works around and deep into the root zone to keep bacterial infections away.If you smoke we suggest you quite as smoking is a leading cause of gum disease. Once you've killed all bacteria in the gums and around the roots of the gums this product help promote good enzymes form in the mouth to fight disease and decay. This product is made in a FDA supervised laboratory using state of the art manufacturing methods. These statements have not been evaluated by the FDA. This product is not intended to diagnose,treat,cure, or prevent any type of disease. Dissolve 7 pellets under the tongue once daily, between meals.until vial is complete or as your naturopathic physician directs you.Do this twice yearly for best results. Active ingredients:Betonica,Borax, Chloralum,Equisetum,Fluoricum Acid. Inactive ingredients:70%sucrose 30% corn sugar in non allergenic pellets.